Chinese Government Scholarship is a scholarship set up by the Chinese government to facilitate students and scholars from all over the world to conduct their study and research in Chinese universities. The scholarship aims to increase the mutual understanding and friendship between people of China and people from the rest of the world and to develop the communication and cooperation between China and the rest of the world in the field of Education, Technology, Culture and Economics. 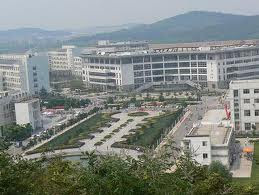 Nanjing University is located in the heart of a historical city Nanjing. It is surrounded by a beautiful scenery, excellent environment and accessible transportation. The University is currently host to 23 schools and 65 departments offering 162 majors for master degrees and 93 PhD degrees. A master degree takes 3 years while a PhD degree takes 3 to 4 years. Nanjing University uses a credit system, acquiring the total number of credits for the degree and successfully passing the oral defense of the Graduation Paper for a student to graduate. Term Of Scholarship: Scholarship will be tenable for three years and four years from the date of award for masters` degree and PhD degree, respectively. One-year preparatory education in Chinese language prior to grantees` study of his major will be provided with full scholarship benefits if deemed necessary. Chinese Language, Culture, and Literature. The program will have the benefits of traditional academic disciplines in addition to a variety of teaching methods including case studies, academic discussions, social practices, and research to foster students` ability to analyze problems within different fields in China, and assist students with future work experience in China. Using China`s vast domestic resources, students will have hands-on research experience, investigating all aspects of China, including historical and cultural, social, economic, and contemporary issues. Academic Background: Applicant must have completed a four-year undergraduate degree for master degree pursuer and a master degree or equivalent for PhD degree pursuer. Chinese Language: Applicant must be willing to learn Chinese language, if applicable, and receive education in Chinese language. Health: Applicant must be mentally and physically healthy. Students currently studying in China are not applicable. Students who have been granted for other Chinese scholarship or funding（2012-2013） are not applicable. Allowance: Grantee will be provided a monthly stipend of RMB 1,700 and RMB 2,000 for masters` degree student and PhD degree student, respectively. School Fees: Fees for matriculation and tuition will be paid by the Chinese government. Health Insurance: A health insurance will be provided to the grantee by CSC for the entire duration of his/her scholarship. Accommodation: A free accommodation will be provided to a grantee in the International Dormitory of the University for the entire duration of the scholarship. After fill in the application form on-line (agency number for Nanjing University is 10284), applicant must click the “submit” button and print out application from the application system. After the on-line application is complete, applicants must submit the following documents to the Scholarship Coordinator (address below) by the required date. The submitted documents will not be returned. The above documents must be written in English. Any document written in any other language must be attached with an English or Chinese translation.